Hundreds of Victorians have been diagnosed with Ross River virus after heavy rains probably caused mosquito populations to surge, Victoria's Chief Health Officer says. A spate of Ross River virus cases has prompted a warning for Victorians to take extra care to protect themselves against mosquito bites, particularly outside of Melbourne where the insects are more likely to be carrying the disease. Professor Charles Guest said about 314 people had been diagnosed with Ross River virus in Victoria during the year to December 29 – a nearly 50 per cent jump from the previous year. And this was likely an under-estimate, he said, because some people may not be diagnosed, with their case reported to the health department. Professor Guest said Ross River virus had also been detected in mosquitoes around Mildura, Moira and Barmah Forest in the north of Victoria, an early indication of increased risk for people this summer. While Ross River virus is rare in Melbourne, he said people were at risk in all parts of the state, particularly if they are spending time around water where mosquitoes are more prevalent. 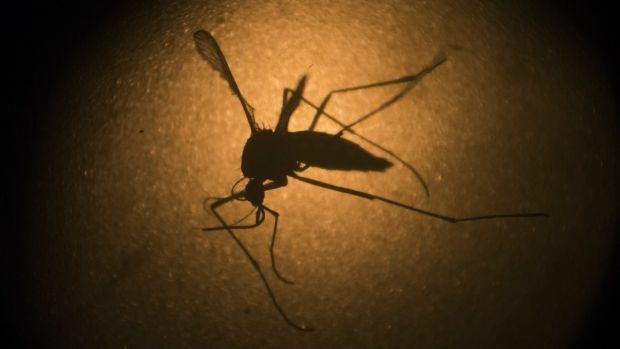 "The best protection from these diseases is to avoid mosquito bites – protective measures include regularly using mosquito repellent containing picaridin or DEET, wearing loose fitting clothing when outside and ensuring accommodation is mosquito proof," Professor Guest said in a health warning. People bitten by infected mosquitoes usually fall ill within three weeks. Symptoms include joint inflammation and pain, particularly in small joints such as the wrists, fingers and toes. Other signs include fatigue; enlargement of lymph nodes, especially in the groin or armpit; muscle aches; a rash; and a feeling of "pins and needles" or sensitivity on the soles of one's feets and palms of one's hands. While most people recover, some can have intermittent symptoms for more than a year. There is no treatment, other than medicines to relieve symptoms. Professor Guest said predictions that climate change would bring more extreme weather events and more mosquitoes could lead to more health problems in future. He said authorities should expect to put more effort into prevention of Ross River virus but he declined to say what sort of measures should be considered.